This is the perfect way to capture a special venue for yourself or a unique gift. 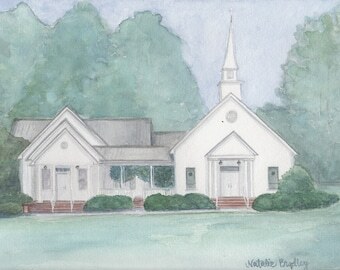 Whether it's a business, historic building, barn, or another important venue, I can paint this from a quality photo. 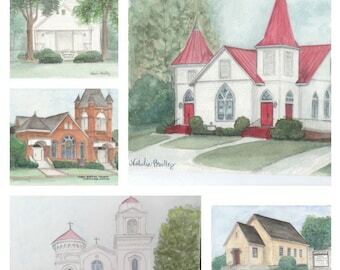 This is a one-of-a-kind, custom venue portrait made exclusively for you or a loved one. 1. Purchase this item, specifying the size of your choice. 3. Then I will begin working on your venue painting. Keep in mind I usually have several in progress, so it may be a few days before I can begin. If you'd like me to personalize this for you, like including names or dates, simply specify when you purchase. Please also specify in 'notes to seller' any special requests you have. Remember to please allow 1-2 weeks from the time of order for completion. Sometimes I can meet faster deadlines. 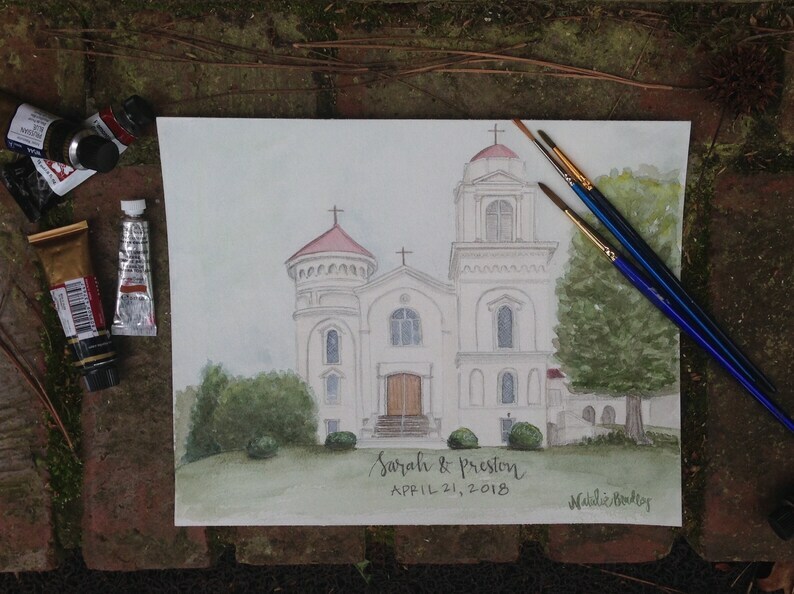 Please message me to see how quickly I can paint a custom venue for you! This piece will come unframed, not matted, and signed in a lower left or right-hand corner on the front. This is painted with watercolors on archival watercolor paper. It is highly suggested that you frame this painting behind glass to preserve the colors and prevent fading. A photo of the venue my husband and I got married at. Was a great 1st anniversary gift idea for paper.